Grief manifests itself in many ways to the patient and to the family. A broader understanding of spirituality and bereavement enables the care team to provide help to those they serve as well as take care of themselves. This course will assist the participant in identifying methods to comfortably assess and address the spiritual and bereavement needs of the patient and family with education, resources, and information. 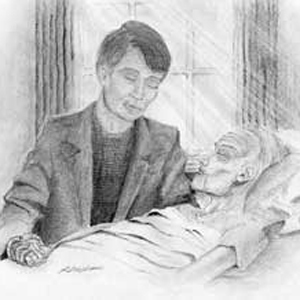 Describe the ways in which the bereaved may find solace. Describe the importance of rituals and commemorations in the grieving process. Offer three examples of questions you might ask the patient while exploring their feelings of loss. Identify two common feelings that may be experienced by the bereaved following the death of their loved one.